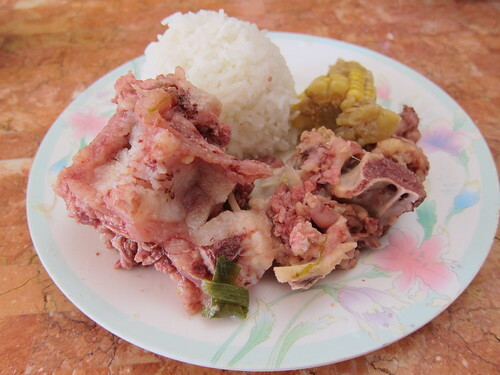 Filipinos love pork. Just ask Rex Navarrete. But Filipinos also love beef! That is why we have Pochero. 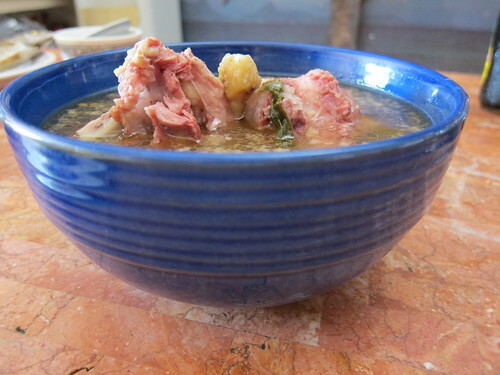 That’s delicioso Filipino beef stew to you, turistas! So this morning I was jogging for 30 minutes when I decided to just quit take break, because it was already getting hot at 7AM. As I was cooling down, I thought about ZeroThreeTwo’s post about Pocherohan sa Mabolo. It’s funny, because this place is only a 5 minute walk from my house, but I have never been here before. Can you believe that? Ridiculous. Anyway, their pochero stock pot was nowhere to be found. Gasp. But thankfully, it was cookin’… inside. So, I had one order of Pochero for take out at 50 pesos only! 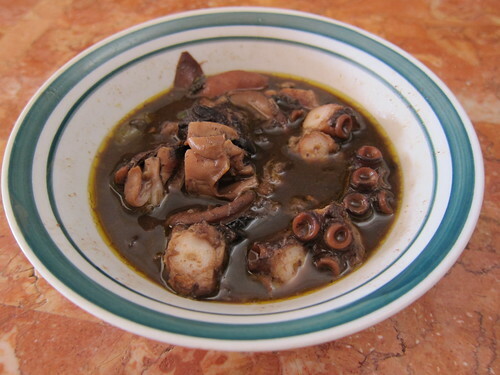 Then they also had Octopus and Squid Stew for 40 pesos. I ordered one, too. Their cholesterol-laden Pochero is delicioso, and rich in flavor. A daily dose of this is a quick trip to the hospital. It’s that GOOD! Meanwhile, their Octopus dish is surprisingly better than the one served in the karenderia in front of IPI. I was expecting bubblegum texture, but NO. This dish had tender meat. Really good. I’ve not had the chance to taste the squid though, because I usually do not like the flavor of these tiny little things. 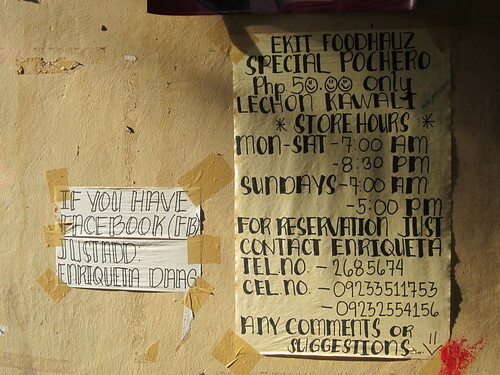 So if you don’t have the budget for Pochero in Filipino restaurants like Golden Cowrie or Abuhan, check this place out. It’s only 50 pesos, people! 50 pesos. 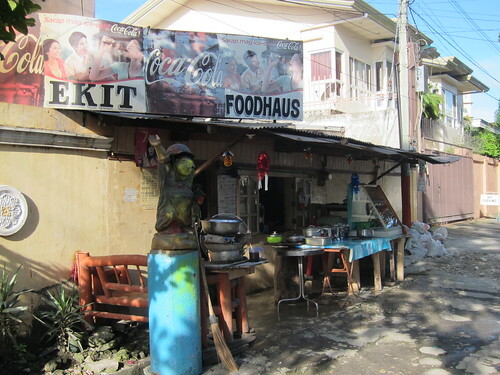 Ekit’s Foodhaus, better known as Pocherohan sa Mabolo, is in Tandang Sora St. in Brgy Kasambagan, Cebu City. They also have an area for dining in. BIGGER photos are in my Facebook album.